Only available if arbitrary SQL is enabled (the default). 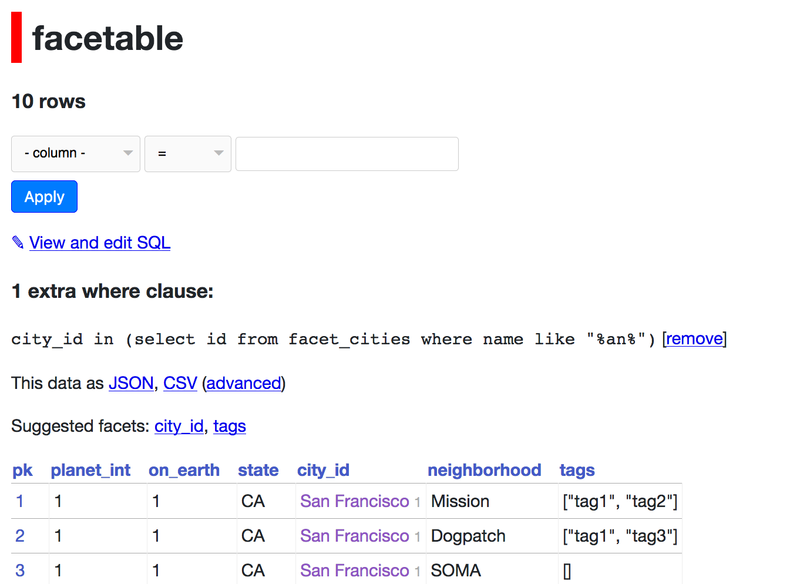 Allows any table (or view) page to have arbitrary additional extra_where clauses defined using the URL! Would be nice if this could take :named parameters and have them filled in via querystring as well. 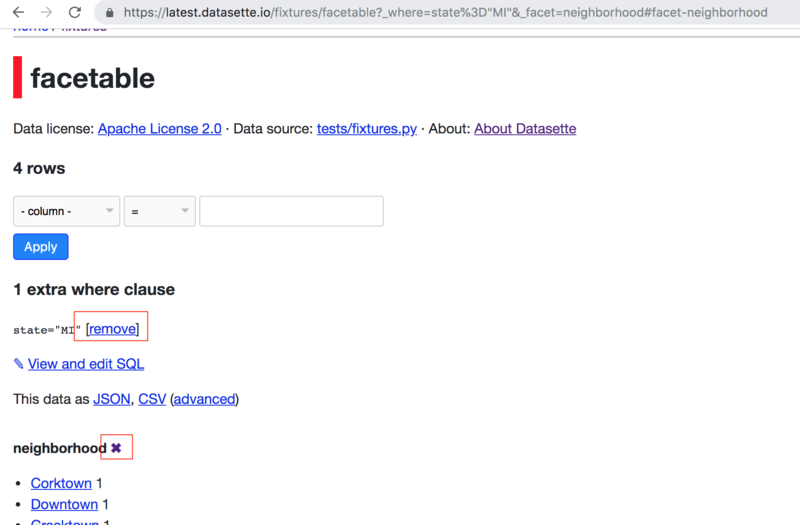 I originally thought of this as a plugin but then realized that it's 100% compatible with Datasette's existing arbitrary SQL clauses and would make some of my other projects (especially involving custom queries that still need faceting) a whole lot easier. I'm going to leave the :named parameter support out of the first version of this feature. Keeping track of these and building the "remove" links correctly is going to be a tiny bit fiddly. Maybe put this section above the "view and edit SQL" link. _where= renders a [remove] link whereas _facet= gets a cross to remove it.